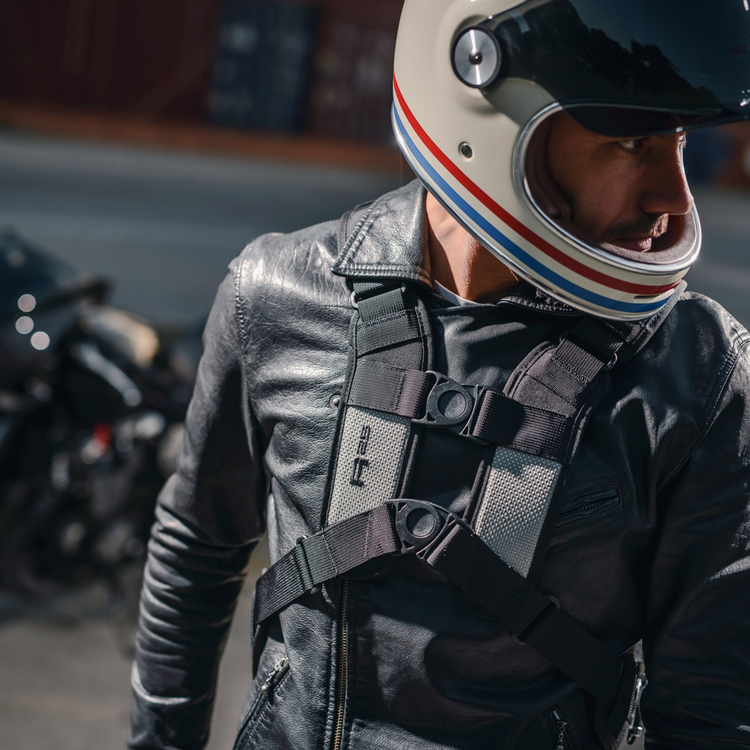 The perfect motorcycle commuter pack with variable load adjustment and excellent stability. 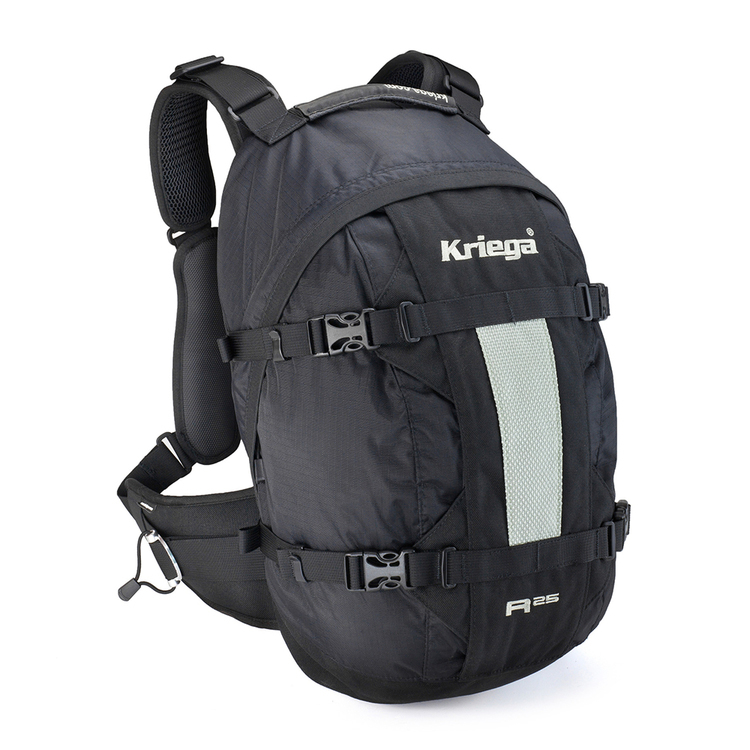 25 litre capacity, Unique Quadloc harness system, High visibilty front and back, hydration compatable 10 year guarantee. 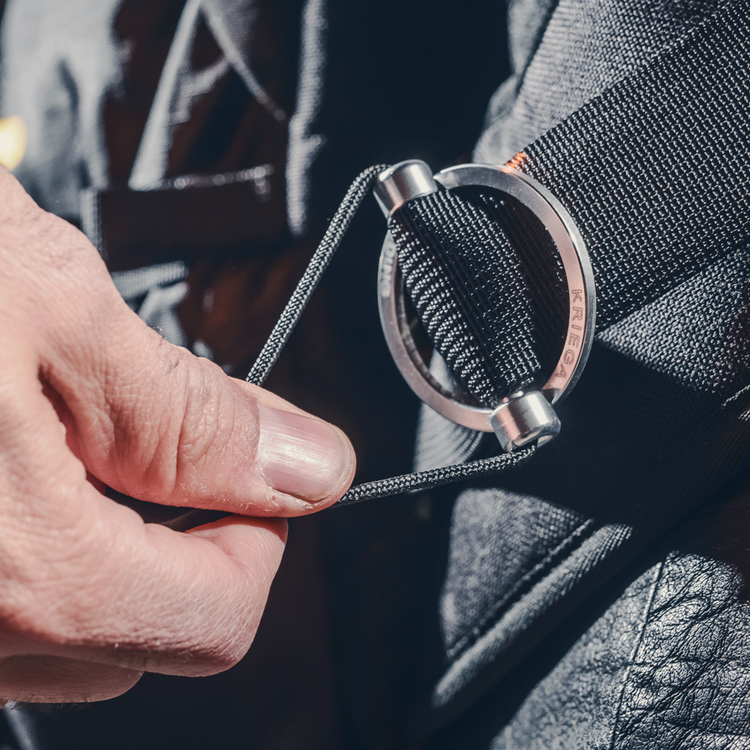 The R25 has a quick release QUADLOC harness, our own tried, tested and highly recommended system, unique to the rucksack industry. 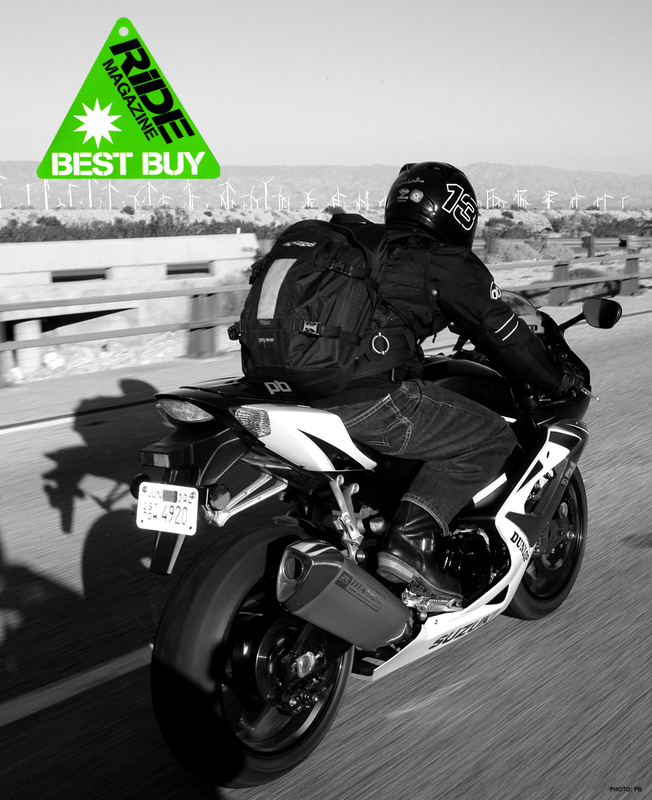 An innovative & extremely efficient load-carrying system designed for riders. 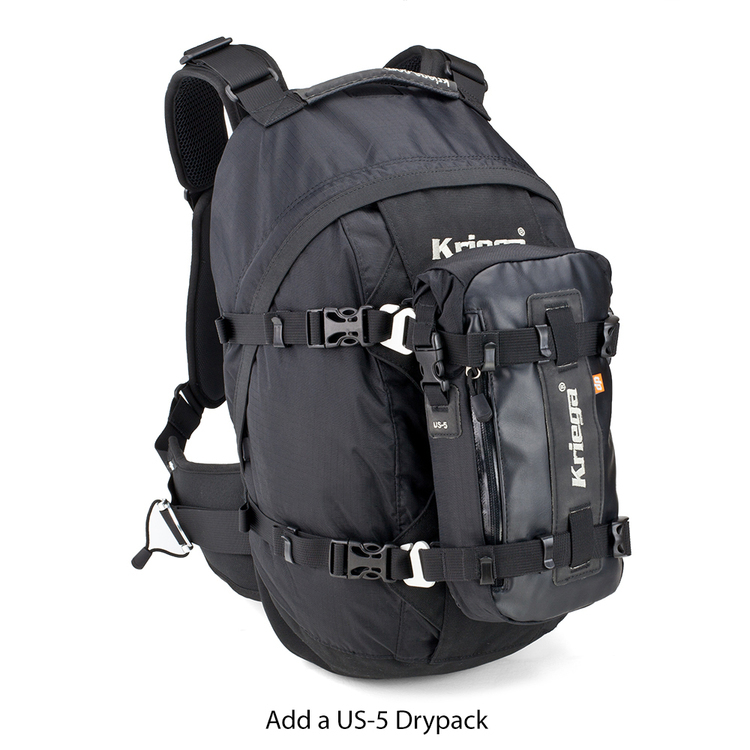 Unlike conventional harness systems the load is carried on the hips & chest, transferring the majority of the load away from the shoulders and thereby preventing the neck strain experienced with regular rucksacks. Unique 4-point harness: transferring the load away from the shoulders and onto the chest & hips. Ergonomically designed with no arm restriction for long distance comfort. 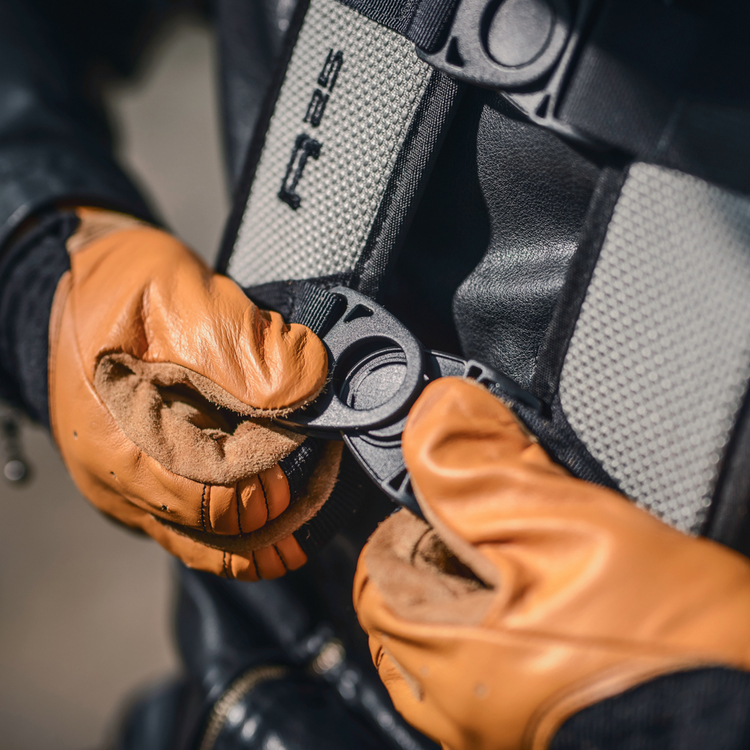 The R25 can also be fitted with our 3 litre reservoir for use on or off road – perfect for touring or serious adventure riders. 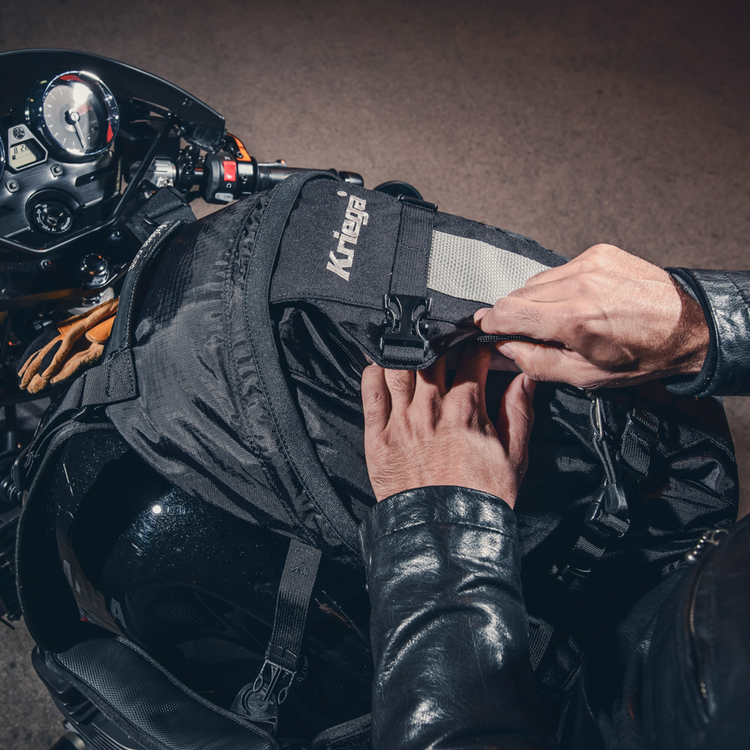 Main compartment – YKK oversize zip. 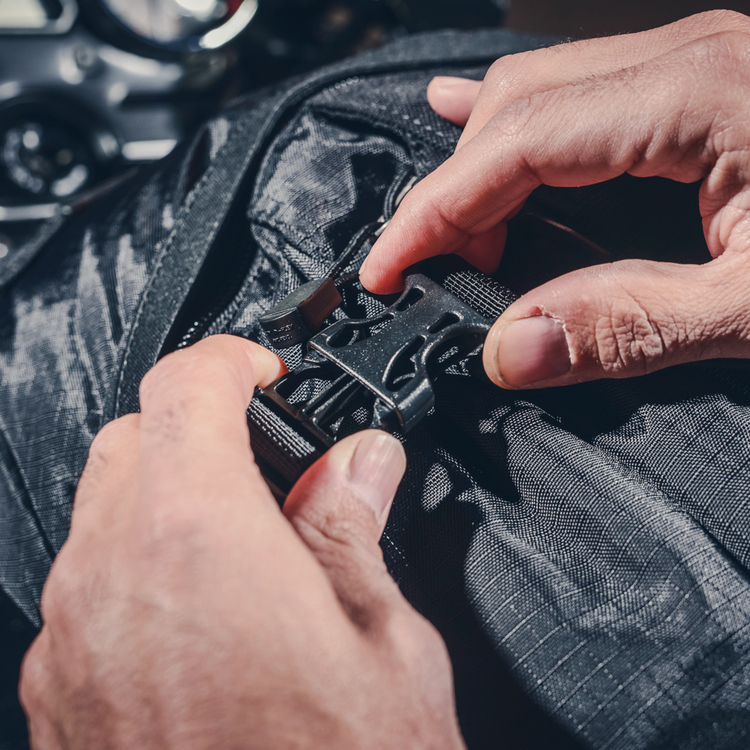 Step 1: Loosen all harness straps by lifting alloy pin whilst pulling cord-loop backwards. Step 2: Fasten front 2 quick-release buckles. Step 3: Tighten both hip belt buckles simultaneously, pulling the pack into small of the back. Step 4: If necesssary readjust top buckles for a comfortable fit (shoulder straps should not be tight). Once set the Quadloc system rarely has to be re-adjusted to achieve the correct comfort level. 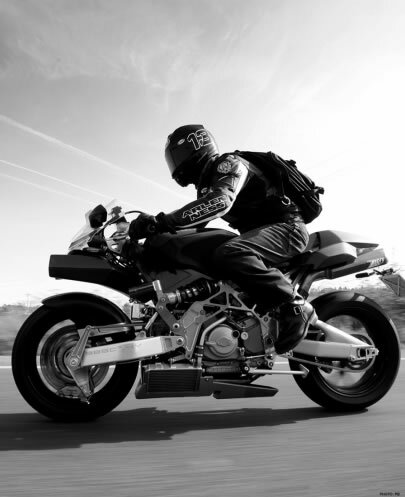 R25 from Kriega on Vimeo. 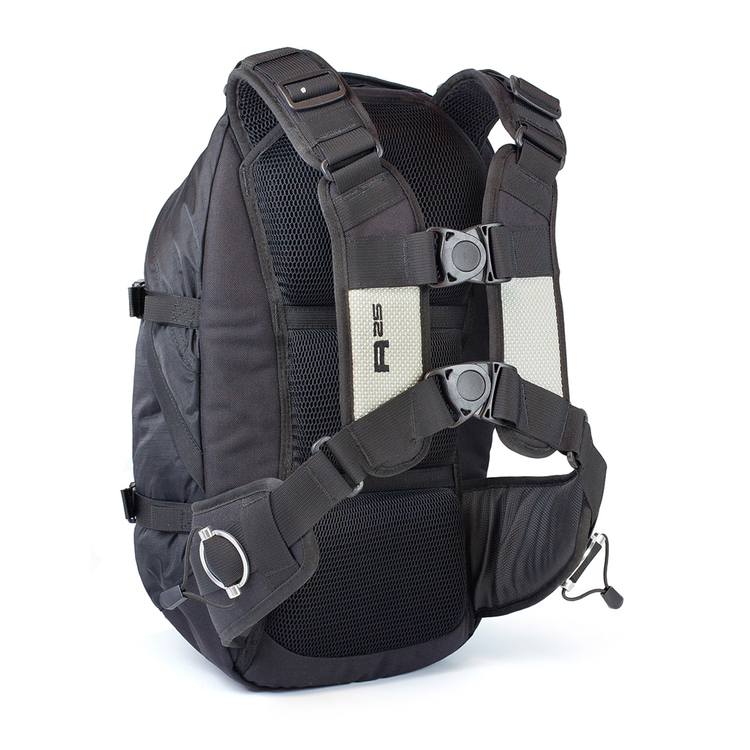 1000D Dupont Cordura base & harness. 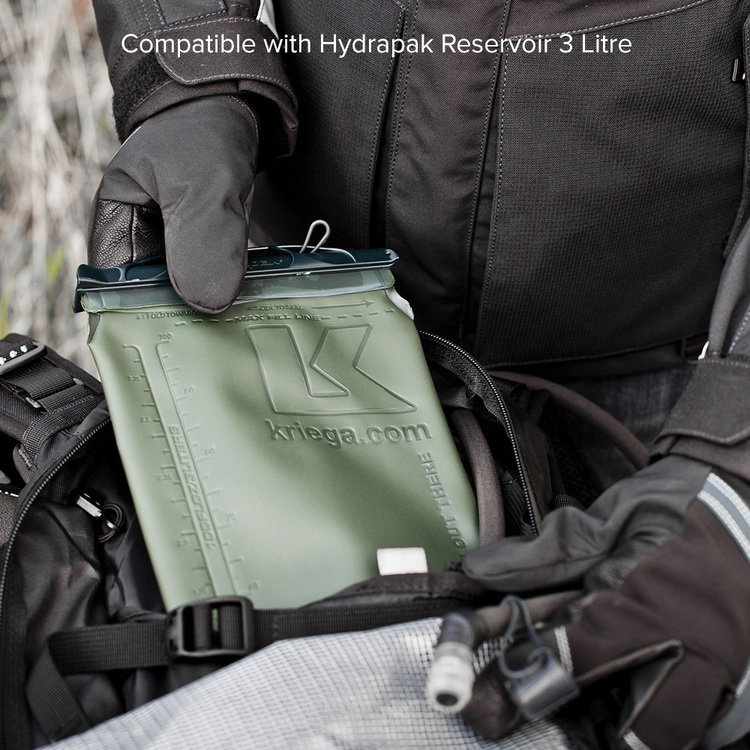 420D nylon ripstop – lightweight yet extremely strong. I had to create an account just to review this bag. Better than any other bag I have ever worn! Design is intuitive, build quality is great and comfort is unparalleled. I’ve recently purchased the R25. 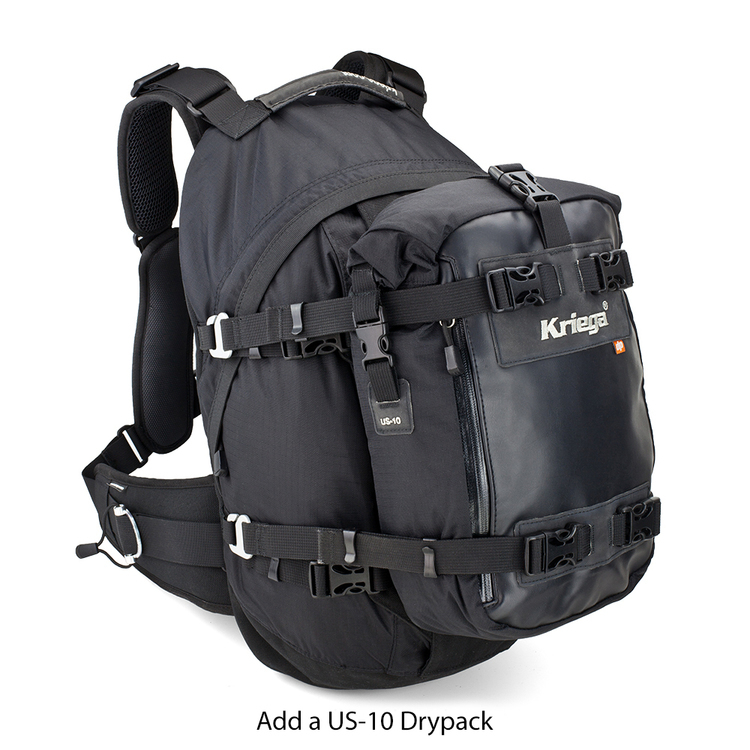 It’s well made and is a great size for commuting for work, easily holding a laptop and accessories with room to spare. The locking mechanism keeps all of the weight off the shoulders so you have full freedom for maneuverability in traffic.